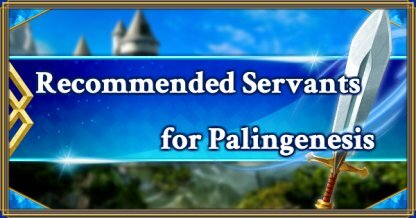 On this page you'll find which Servants we recommend for Palingenesis in FGO (Fate/Grand Order), categorizing them by role. We have advice on farming, high-level Quests, and Servants who operate differently with Grail Ascension, so use this as your guide when it comes to utilizing your Holy Grails in FGO. It tends to be the case that damage from a 3★ Servant's Lv.5 NP is equal to that of a 5★ Servant's Lv.2 NP. Essentially, for Servants with low stats, the higher their level of Noble Phantasm the more damage they can deal out. For a 5★ Servant with a Lv.2 NP or above, although each Grail Ascension may be less efficient, they get excellent Status growth, making 5★ a good choice. Also, other than NP damage, hink about how you will deploy your Servant, what Skills they have, and so on. Grail Ascensions are particularly effective for those Servants with unappealing Command Cards due to their low ATK. There are many such Servants whose operation can greatly change once their Cards become more appealing, such as "Sasaki Kojiro" and "Billy the Kid". Even by using Holy Grails on Low Star Servants, their stats won't reach those of High Star servants at the same level. It tends to be the case that for each star of rarity there is a difference in stats of about ten levels. Also, you should pay attention to HP as well as ATK. FGO has so many appealing characters - and it is possible to progress through the game even if you use your Grails only on those Servants you just happen to like the most. When it comes to farming in FGO we have to talk about this Servant. Being able to deal over 30,000 damage to single enemies widens his range of use greatly. He can also be effective as an attack unit for some high-level Quests. 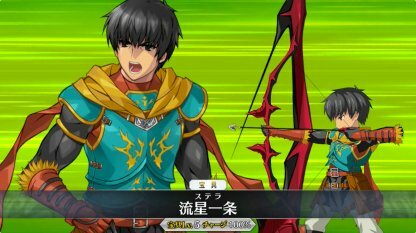 Along with "Arash", this Servant has to be mentioned when talking about farming. Because he's a Berserker he performs well in almost all kinds of farming runs. His excess HP recovery at Lv.60 can also be fully utilized by Grail Ascension. Can generate massive amounts of Stars with his NP, and by using his own Skill, is able to deal huge Critical damage. Critical hits are this Servant's specialty, so consider him for Grail Ascension from NP Lv.1. By putting together the right party formation, this Servant can farm Quests very effectively. 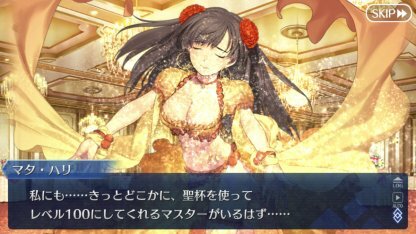 If her NP is leveled up she may not need a Grail Ascension, but she’s a particular recommendation if you hold a compatible Servant such as "Nero (Bride)". A Servant with a wide range of uses - an NP gauge charge for farming, and Evasion to self and Sure Hit for high-level Quests. With Grail Ascension she becomes even more useful - particularly recommended if you hold few Archers. This Servant’s single target NP Special Attack to Male enemies. Even without Grail Ascension she has awesome firepower, but with Grail Ascension she can used in more situations where she doesn’t have Class advantage. Recommended if you have few attack units suited to high-level quests. A Saber Servant whose Skills and NP together deal out huge damage - and with Grail Ascension he can dish out even more. Although Low Star, he is not in the permanent Summoning pool, so consider his NP level before using Grails on him. A Rider Servant with a high-powered single target NP, and unusually, an Evade Skill. With Grail Ascension the damage she deals can be increased even further. Recommended if you have few Rider Class Servants with a single target NP. With appealing basic stats, any rises in ATK and HP have direct results in fighting performance, so well suited to Enhancement. Benefits from additions such as Fou Cards, and fits into most parties, regardless of the enemy Class or number. Worthy of investing rare items. 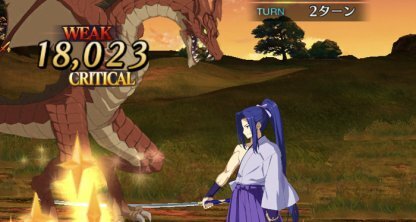 This Servant has a NP with a Special Attack effective against almost all other Servants, excluding a small number. When maximized, he can get a 30% NP charge, so as farming personnel he is also worth considering for Grail Ascension. A top tier Servant with an Area of Effect NP that removes all enemies’ buffs. A great advantage is that as a Ruler he can be employed against enemies of all Classes. Also recommended as over short battles reusing his Stun Skill and NP means huge differences in damage given out. Grail Ascension enhances even further this Servant’s specialism in Critical damage. Also, Avengers have a base attack multiple of 1.1, so the benefit of an increased ATK is greater compared to other Classes. Has a Special Attack NP targeted against most enemies - with the Demonic trait, and Sky and Earth attributes. A top performer in high level Quests battling multiple Servants of mixed Class. In a farming party utilized for Critical attacks she can fulfill a Star generation role. A Berserker suited to high-level Quests due to her ability to remove an enemy’s buffs. Another plus point is that as a 4★ Servant she can rise 10 levels with only 2 Grails. By raising her HP with Grail Ascension, you can take full advantage of her high-rate defense buff.